Many students approach assignments by jumping from the prompt straight into writing, hoping the essay will emerge fully formed from their heads. 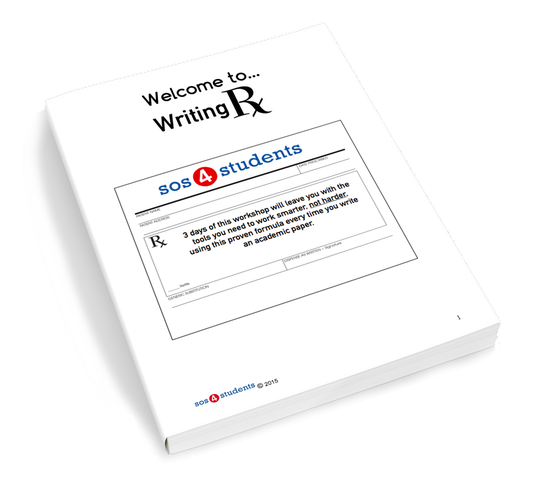 >> Writing Rx Students Learn to . . . Employ a replicable system to create an organized, coherent essay. Replace “analysis paralyisis” with an easy to follow sequence of steps. Use a replicable organizational system no matter what the subject. Integrate media and digital materials with text. How to overcome writer’s block and jumpstart essay assignments. Get the help they need from instructors. Your student will approach all writing assignments with increased confidence! Give your student the tools and strategies he or she needs to be a successful writer. 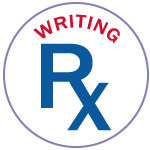 Writing Rx is an intensive, multi-day boot camp that trains students to write expository essays. >> Students Learn to . . .
Organize their ideas on a topic. Structure a coherent essay from hook to conclusion. Instructors for this course are SOS senior coaches with extensive experience working with teenagers. SOS coaches are empathetic and skilled with teaching students of all abilities. Our coaches in-depth experience allows them to leverage students’ strengths to shore up their weaknesses. Whether your student has a learning disability or is an Advanced Placement student tackling more complex assignments, they will receive the individualized attention they need. Space is Limited. Sign Up Your Student Today. Does the student have any learning disabilities, behavioral issues, special dietary requirements, or any other issues we should be aware of? Did you know that SOS workshops can be customized for your small group of students, such as your child and 3 of his or her closest friends, or if your child can’t attend a workshop on the dates scheduled?